Compare leading Physician Mortgages available in your state. The Doctor Mortgage Loan Program is designed to help qualified Physicians and Dentists acquire a residential mortgage loan from participating lenders with zero to very little money down and no PMI. 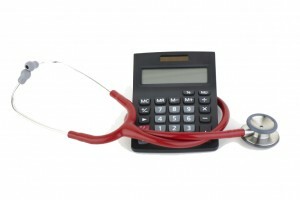 Who qualifies for the Doctor Loan Program? Benefits of the Physician Loan Program at a Glance. *Employment contract can be used as evidence of income – if starting new job. *Learn more about what features most doctor loans have in common. The banks listed here do benefit from the exposure but the site was not built for them. It was built for YOU. The information listed here regarding the Doctor Mortgage Loan Program has been gathered by folks like you and they have been kind enough to share their experiences. If you are lender offering a Physician Loan and would like to be added to this site please click the “New Bank” option at the top. If your Medical Doctor Mortgage Loan Program is of value, and you have the appropriate recommendations from past Physician clients, I will add you to the list. We are pleased to announce that as of April 2019, over 12,894 Physicians, Dentists and Optometrists visit our site every month!!! It is truly an honor that our page has become one of the most comprehensive resources for new and established medical professionals in search of banks offering a Doctor Loan Program. While this blog may not be the prettiest site on the web, we hope you find this information useful. The Goal is Simple: to compile the largest most up to date list of Doctor Loan Programs and features available in your state. Therefor allowing you to make an unbiased decision and choose the the best lender for you. Also if you are interested, I have been writing on the topic of Physician Mortgage Loans for over 4 years. Feel free to browse my Doctor Loan Blog for useful articles, tips and resources to assist you in your research.